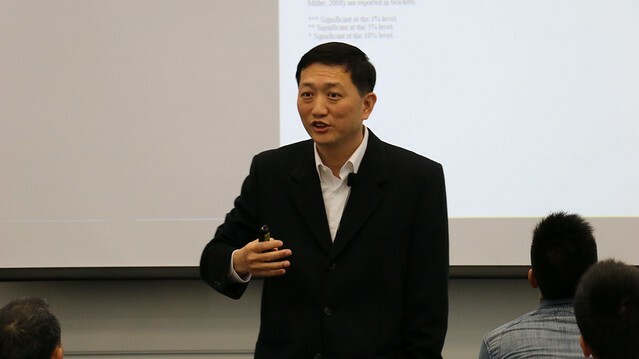 This video begins with Prof Tao explaining the key takeaways of the seminar, followed by the full recording of the seminar (which starts at 2:02). In this study, we exploit one of the most important conflicts of the 20th century between what are currently the world's second and third largest economies, that is, the Japanese invasion of China from 1937 to 1945, to investigate the long-term impact of conflicts between countries on cross-border trade and investment. We find that Japanese multinationals are less likely to invest in Chinese regions that suffered greater civilian casualties during the Japanese invasion, and these regions also trade less with Japan. Our study shows that historical animosity still influences international trade and investment, despite the trend toward an increasingly globalized world.